Quebec agrifood co-operative La Coop federee is set to stake a larger claim in Ontario’s grain and crop input sector with a deal for Cargill’s assets there. Cargill’s Winnipeg-based Canadian arm announced Thursday it will sell its Ontario grain and crop input outlets and its joint-venture stake in South West Ag Partners to La Coop for an undisclosed sum. The assets to be sold include Cargill’s wholly-owned grain handling sites at Melbourne, Princeton, Shetland, Staples and Talbotville and its wholly-owned input retail sites at Alliston, Clinton, Courtland, Harriston, Harrow, Melbourne, Mount Albert, Princeton, Shetland, Talbotville, Tilbury and Waterford. That stake also includes an interest in South West’s crop input retail businesses at Becher, Dover, Eberts, Ridgetown and Rutherford. Chatham-based South West, whose operations also include processing and packing of food-grade soybeans for export, formed in 2001 in a merger of Kent County Fertilizers with St. Clair Agri Services. Cargill came to South West as a joint-venture owner of the St. Clair business. The deal with La Coop will not include Cargill’s export terminal in Sarnia, its AgResource crop inputs wholesale business or any other Cargill businesses in Ontario or elsewhere in Canada, Cargill emphasized. The deal is expected to close in the second calendar quarter, pending “definitive agreements” and “required regulatory examinations,” Cargill and La Coop said. U.S.-based, privately-held Cargill is among several global grain firms to review its various business lines, step out of other lower-margin businesses and pursue higher-margin opportunities in recent years as profits in grain marketing have come under pressure. 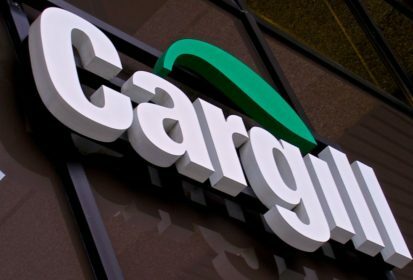 Cargill, for one, has sold off its ag input retail business in six U.S. states to Canadian fertilizer and ag retail firm Agrium (now part of Nutrien) and moved to exit the ag input business in the Black Sea region. “Cargill continually evaluates its assets to ensure its sites are operating efficiently and are competitive in the areas it serves,” Dave Baudler, managing director for Cargill’s grain business, said in Thursday’s release. Coop federee’s Agromart ag retail network and LCF grain trading businesses, meanwhile, “have been growing steadily in recent years,” Sebastien Leveille, the co-operative’s executive vice-president for agribusiness, said in the same release. “This agreement will help us continue with our major expansion program elsewhere in Canada and remain competitive on grain and agricultural input markets,” La Coop federee’s CEO Gaetan Desroches said in a separate release.